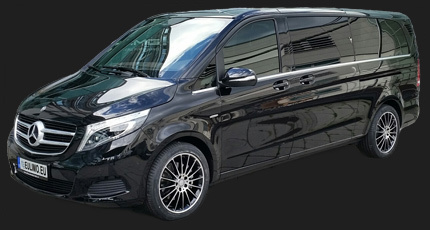 European Chauffeur Limousine works closely with the private airline operators for providing transport services and the highest levels of reliability. Each flight is accurately monitored and thanks to the latest information of scheduled arrival delays to traffic at the airport a minimum . Plenty of space and a smooth ride offers, for example, Mercedes Benz V-Class.